Salone Studio is a state of the art,full service recording studio in Jackson,MS. The studio is designed to meet your needs. We can record your session in Protools,Nuendo,or Sonar. 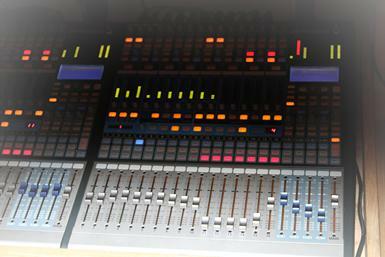 We use a combination of hardware and plugins to make your recording sound distigished. If you like the sound of an Avalon compressor,Apogee converters, and a Neumann mic, we have it at a great price. If you need someone to record your album,soundtrack,or commercial we are the place for you. Salone Studio also has mix engineers to mix your recording. If you want your mix done by a professional in a tuned room we are the place for you. Salone Studio also provides Mastering Services. If you want your audio to have a polished professional "Big Sound" Salone Studio is the place for you.